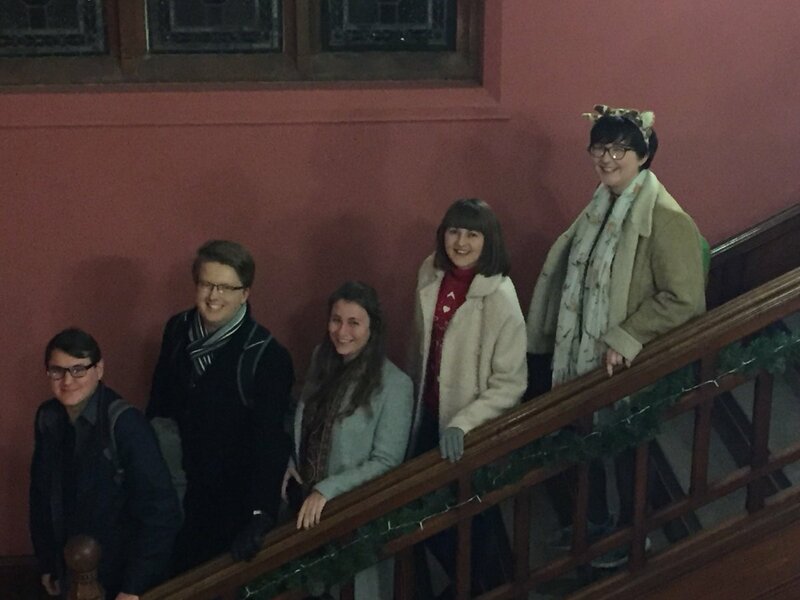 Dissertations are done, exams are over, and, like the Von Trapp children (who we appear to be channelling in this photo), it is nearly time for me and my fellow Museum Studies finalists to say goodbye to the University of Reading. The last three years have definitely changed my life for the better, and in this post I thought I’d share a few thoughts for anyone thinking of applying for a Museum Studies course at Reading. When I was looking for a course, I knew that Museum Studies existed as a subject and that I wanted to study it. But pretty much everyone outside the museum world doesn’t seem to know this, so be prepared for a lot of “You study museums?”, “What’s that all about?” and my personal favourite “Oh, that’s… different”. There are not many undergraduate Museum Studies courses out there (it’s usually a postgraduate subject), but their content can vary significantly. For example, Reading’s courses are combined with either Archaeology or Classics modules, while others have more of an Art History focus. So read the syllabuses thoroughly and think about your own interests. Having worked in museums for a few years before uni, I wanted a course that was practical, relevant and comprehensive (and wasn’t just Art History in disguise), so when I read the Museum Studies and Archaeology syllabus, I knew it was the one for me. If you are thinking of taking Museum Studies, it’s pretty likely that you want to work in museums, so the course is very much focused on trying to make that happen. There are lots of practical elements, ranging from object handling seminars, skills-based assignments and museum visits, to an assessed work placement in Part 2 and a group exhibition module in Part 3. If you take the Archaeology option, you also have the chance to attend the Field School over summer. I’m definitely an indoor person so the Field School wasn’t for me, but I’m very grateful I was offered the chance to go on a real archaeological dig! Field experience is essential if you want to be an archaeologist, yet many universities no longer run their own field schools, so Reading has a real edge here. 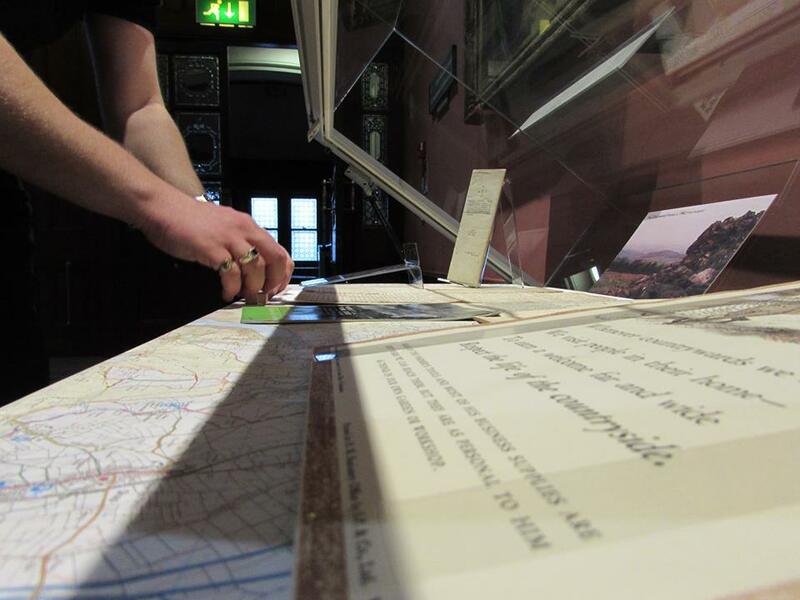 Image: Installing a display for the group exhibition module in Part 3. Because Museum Studies is such a vocational course, you will definitely get more out of it if you can do some museum work or volunteering while you study. This allows you to put what you learn in lectures into practice and network with other people in the sector. As well as the placements mentioned earlier, there are also lots of opportunities to get work experience outside the course. In Part 2, I got a summer job through the Reading Internship Scheme (RIS), which offers paid internships with local companies in various sectors, and is only available to University of Reading students. I spent eight weeks with the Curatorial department at the River & Rowing Museum in Henley on Thames, which was a wonderful experience. I helped install a temporary exhibition, learnt some new collections management skills, and even got taken on a “works outing” to Henley Royal Regatta! Image: Installing a temporary exhibition at the River & Rowing Museum with Assistant Curators Caroline Brown and Chelsea Eves. I probably should have mentioned them earlier, but the course lecturers, Rhi Smith and Nicola Pickering, are brilliant too! Rhi’s background is in archaeology and anthropology, and Nicola is an art and architectural historian, so their combined expertise provides a really broad insight into the museum world. 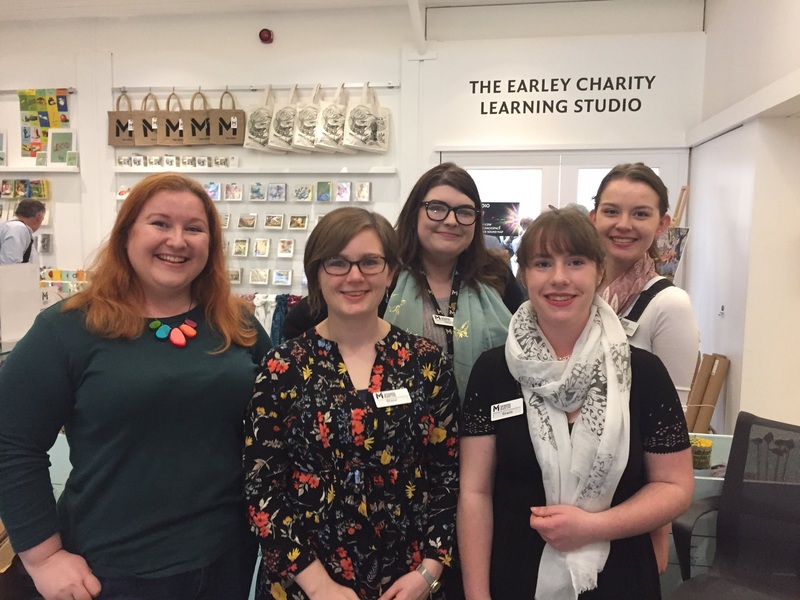 Some of the staff at The Museum of English Rural Life (MERL), where the course is based, also deliver some of the content, such as object handling sessions and guest lectures. This is a real bonus as you are learning from people who actually do the kind of jobs you are hoping to do. And who better to learn from than the people who brought you such social media sensations as this surprisingly effective mousetrap and this magnificent woolly hero? Finally, if you like the sound of everything else but think Reading isn’t a very interesting place to live, think again! I was really surprised by how much cultural activity there is in Reading, and initiatives like Place of Culture and the Abbey Quarter are all about promoting this and trying to engage people with it. One of my highlights was seeing the cell where Oscar Wilde was imprisoned during the Inside project at Reading Prison. 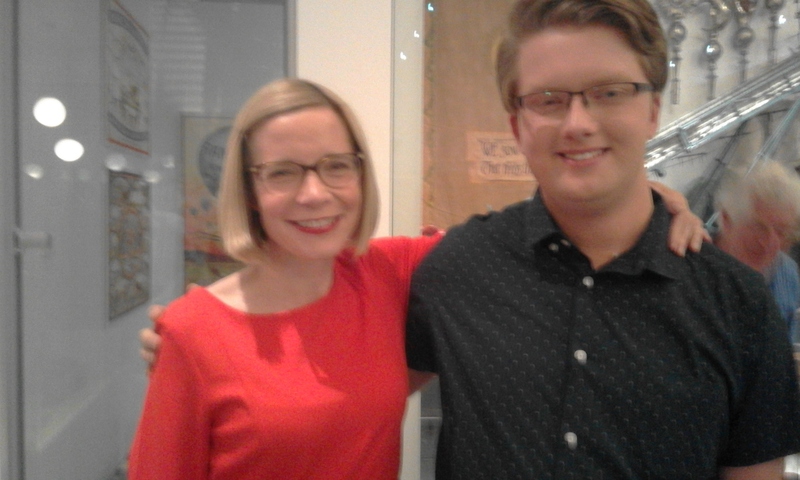 I also got to meet historian Dr Lucy Worsley when her father Peter did a book launch at The MERL (fun fact: Peter Worsley used to be a professor at Reading and Lucy herself was born here). The British Museum is even planning to open a new research centre in Reading in partnership with the University, so there is a lot to look forward to. Image: Meeting Lucy Worsley at The MERL. If you are considering a Museum Studies course at Reading, I hope this post has shown what a great opportunity it can be. As someone who dropped out of another uni at 18 and vowed never to go back, I never even expected to finish a degree course, let alone enjoy it so much. But this just proves that if you find the right course at the right uni, and do it at the right time for you, anything is possible. Auf Wiedersehen! It’s a new year and that means two things. One, we’re all still a bit fat after Christmas. And two, there are just a few weeks until we Part 3 students launch our Belonging exhibition! It is, in the words of Sir Alex Ferguson, “squeaky bum time”. Matthew Abel (Countryside) – You could tell so many stories with a broad subject like the countryside, but I’ve been focusing on three key subthemes. Making Rural Communities considers how the idea of community is constructed in the countryside, and how people come to feel that they belong in rural areas. Right to Roam explores how the law has historically excluded people from the countryside, and looks at the ongoing campaign to improve public access. Finally, with immigration dominating the headlines, Seasonal Workers reveals how the countryside has always depended on migrant labour, and how these workers have been treated. Putting these displays together involves lots of practical work too, from planning case layouts to working out how to hang works of art – I am pleased to say I now know what ‘hollow wall fixings’ are! Emily and I will also be donning our boots soon to interview a local walking group! 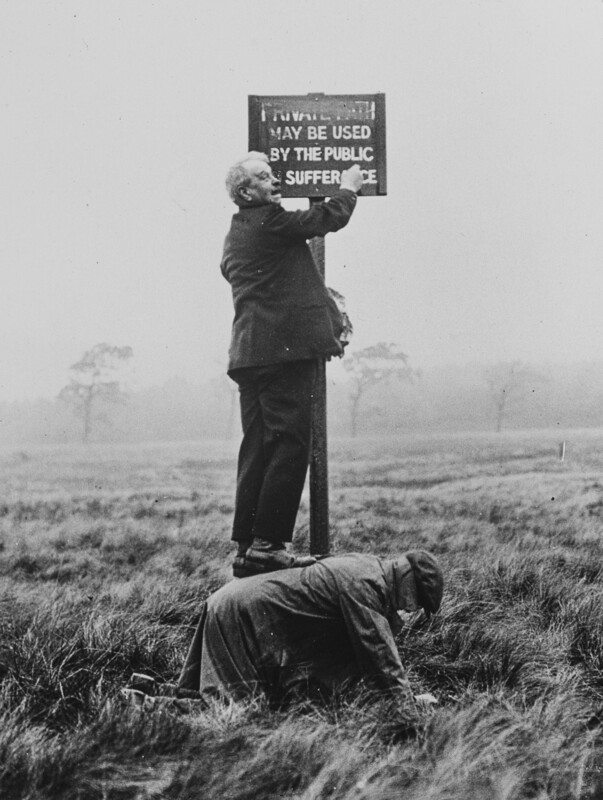 Image: Two ramblers in a footpath protest at Ribchester, Lancashire, in October 1930. The Museum of English Rural Life, SR OSS PH5/J53. Samuel Peters (Conflict) – War, what is it good for? Not just a catchy song, this question is one that has plagued history throughout time. Conflicts are quite often the markers used to recognise the passage of time. Centenaries marking various conflicts are commonplace, these happen to remind us of what has come before, the devastation, the loss of life, the irreversible damage. But do humans ever learn? After one war comes another, humans appear to be intrinsically linked to conflict, an inescapable inevitability. As tensions around the world appear to rise yet again, are we moving towards another conflict, is nuclear devastation on the horizon? Throughout conflicts and throughout wars people live, ordinary people, they leave behind innocent markers, things which would not appear to be from within a war, it is through these that we hope to analyse the extent to which humans belong to conflict; and answer the question, what is war good for? Charlotte Rout (Culture) – To belong is the feeling that you are in the right place or suitable place; to feel happy or comfortable in a situation. Identifying to a culture can give people a sense of belonging and the feeling of being secure and accepted within a society. In the modern world, culture and self-identity are entirely linked, and when the two are disconnected this can often affect a person’s wellbeing, due to feeling isolated or excluded. Themes for this case include migration and globalization and how these can affect the way that individuals feel, especially when they feel that they cannot connect with a culture, including in the place that they call home. This case will use the University of Reading’s Art Collection and display pieces such as Max Weber’s Brooklyn Bridge and Robert Gibbings’ Man in a Tree to show how migration and globalization affect culture and how people feel that they belong. Emily Thomas (Community) – Community connections are vital to museums and can be difficult for universities to build. ‘Threshold Fear’ is a phrase that many museums are aware of and defines what many people feel when visiting museums in which they feel they do not belong. This could also define the problem many university museums experience, so section will attempt to break some of these barriers down, with a case that will hopefully be held within the Reading Central Library’s exhibition area. It will use stories and images of children brought to Reading during World War II from the evacuee archive, displaying a time when community was a fundamental part of society. The case will also display responses to the word ‘home’ by Berkshire primary school children, bringing the thoughts of past and present Berkshire communities together. A second similar case will also be placed within MERL which will demonstrate the value of MERL’s Reading Room, a useful research facility that anyone can use. 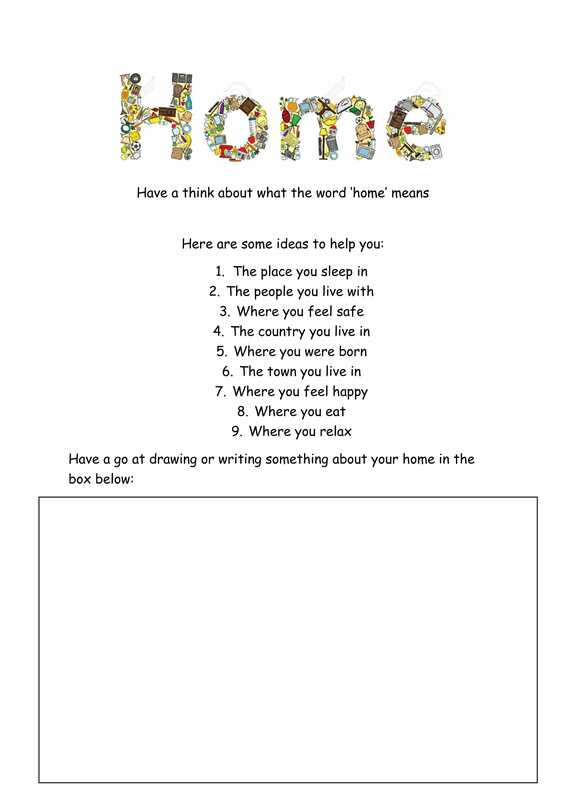 Image: Activity sheet created for primary school children on which they could respond to the word ‘home. Lucy Wilkes (Clubs) – Optimising each of the university’s collections is one of the main aims of this exhibition project. Because of this, we began to think about the Ure Museum and what ancient artefacts could offer in terms of showing a sense of belonging. We quickly realised that one way that ancient people experienced inclusion was via symposiums; elite males would gather to drink and socialise, and this made them feel that they belonged to a group. Women and slaves were excluded from these get-togethers. These ideas are the foundation of the ‘Belonging to Clubs’ case. This subtheme will subsequently explore the idea of belonging to clubs in other ages and communities, linking the Ure collections to the university archives, to discover whether the ancient idea of belonging through gender exclusive clubs has disappeared or simply evolved. Researching this subtheme has involved reading both student newspapers and theatre programmes from the 1920s, and it is surprising how quickly my enthusiasm for archives has grown! Belonging will run from 20 February to 13 April 2018, with displays at The Museum of English Rural Life (MERL), the Ure Museum of Greek Archaeology, Reading Central Library, and the University of Reading’s Department of Archaeology. You will find maps at each site to help you find your way around. We hope you enjoy it! 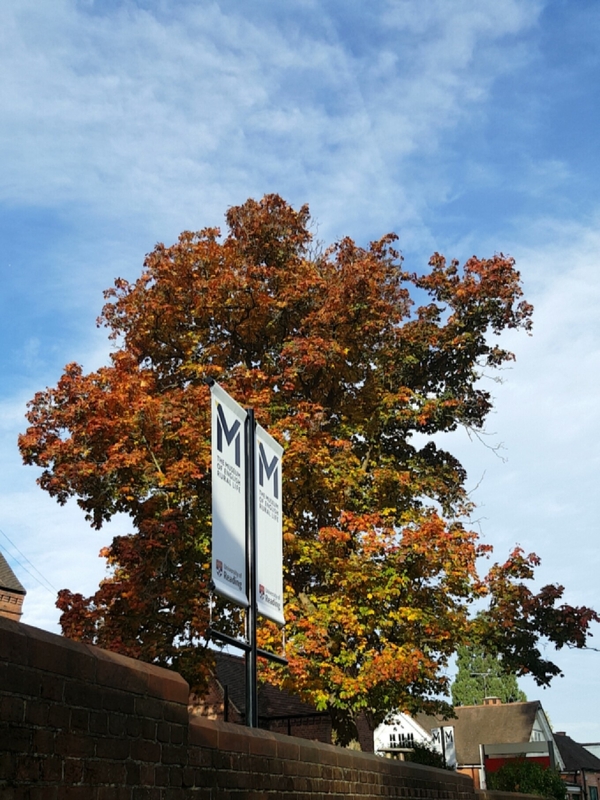 What is Museum Studies at the University of Reading? Let’s start with the essentials, a museum is an organisation that preserves history through the care and curation of objects and stories. They help to reflect on current issues in society and work alongside the community to make history accessible to all. When did museum studies start as a subject? People started to study museums, discuss and produce theories on them from about the 1960s onward, and the debate and discussion continues today. Our undergraduate course in Museum Studies at the University of Reading began as a series of modules that were made available to students from 2006. Now students can study for a degree in either Museum Studies with Archaeology, or Museum Studies with Classical Studies. What modules do you do? We do a bit of everything, with theory thrown in, from designing new exhibitions to looking at the history, policy and ethics of museums. We get a chance to study what goes on behind the scenes at these important cultural institutions. This year I am studying museum learning and engagement, which I really enjoy as it’s the area I want to go into. Next term we are studying museum curatorship and management which will help us with our final exhibition we have to plan in the final year of the course. We have two museum studies lecturers, Dr Rhi Smith and Dr Nicola Pickering, both of whom have experience in museums and have a brilliant knowledge of the subject. Why did you choose to study it? I have always enjoyed museums, but I didn’t realise I could study it at undergraduate level until I started looking at Classics courses. It is rare to find a course for museum studies at undergraduate level so when I found the Classics and Museum Studies degree in Reading I knew it was the one for me, and it has definitely been the right choice. What other activ ities are you doing as well as studying? Volunteering! 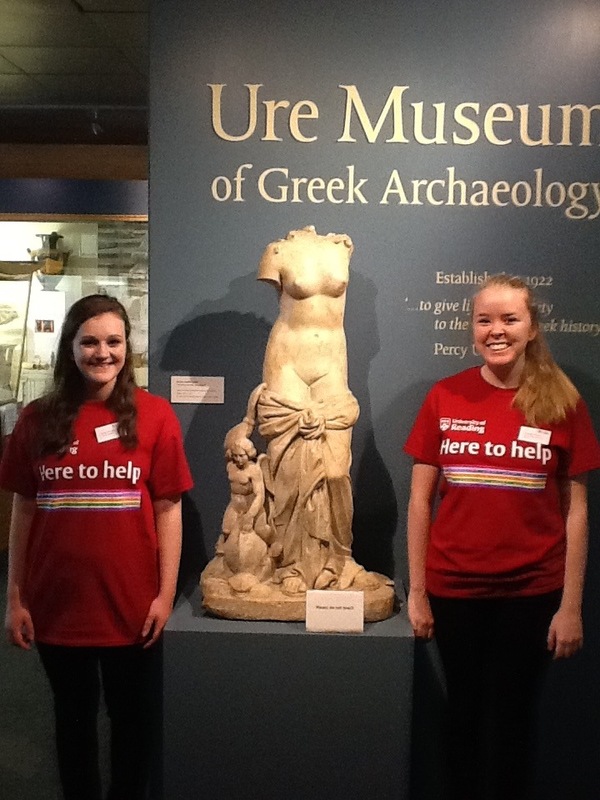 It is almost impossible to get a job in museums without previous experience, so volunteering is the way to go. Currently I volunteer in a school helping in their GCSE art classes and I also work at the Museum of English Rural Life in Reading (the MERL). At the MERL I participate in the teachers’ panel and work on the front desk. I am also currently helping to organise the new Saturday club for Reading Museum Trustees. There are always so many opportunities in museums so my advice to prospective students is to get involved! What do you plan to do after your course? Hopefully I will find a job in education or outreach within the museums sector, as I enjoy working with the public organising activities and events. I am also considering a job in teaching as I enjoy volunteering in schools and the museum studies degree has enabled me to develop transferable skills and knowledge, such as learning how to design session plans. So whilst most people studying the course will go on to have careers in museums, the varied modules also allow you to identify an area in which to specialise or to explore alternative career possibilities. Finally, would you recommend museum studies as a degree course? Absolutely! Museums are part of an amazing sector, and there are many different jobs possibilities so you are likely to find the perfect role for you. Museums allow you to work with people from different backgrounds who share common interests and passions and I can’t wait to see where my degree will take me! Exciting news! We are running summer schools in the museum this year. The University of Reading has a whole suite of International Summer Schools designed to give people a taster of academic life and we’re looking forward to welcoming some new students over the summer months. Introduction to Museum Studies is aimed at students who want to explore some of the theoretical and practical challenges which face museum curators. 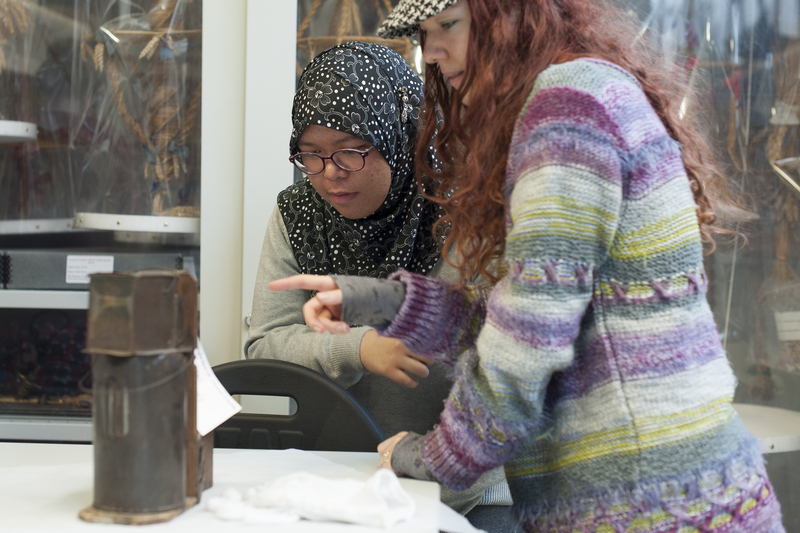 This course will include the opportunity to explore: UK Museum History and Ethics; Interpretation and Education; Collections Management and Conservation.The course runs 7th-18th July 2014 right here behind the scenes at the museum. Performing the Past is being offered via an exciting collaboration between the University of Reading’s Museums and Collections, our Film, Theatre and Television Department, the Colonial Williamsburg Foundation, Historical Royal Palaces and Past Pleasures. Learn the basics of costumed interpretation in beautiful surroundings with guidance form the UK’s oldest costumed interpretation company. The course runs 21st July-1st August 2014. The application process is outlined by the International Office on their Summer School website. Reading alumni and their families get a special discount. Book now! Nearly everybody I invited to handle the objects said ‘I am clumsy I can’t be trusted with objects’. However, those who were brave enough to put on the white gloves were blown away by the age of the objects they were interacting with (2500 years for some of them). We even had a visit from our Twitter-bear Stu who was going around campus being photographed in different locations. Trying to get a tiny cuddly toy bear look like it is handling an object while protecting the object is really tough. We got a mix of people coming to talk. Some were just generally interested in the study of the past and looking at different programme options. They were amazed by the idea that you could have a museum at the end of your departmental corridor. Others were hunting out courses which offered museum studies teaching and experience. It made me realise how lucky we were to have the Ure Museum. Many university departmental collections have lost their geographical and intellectual connection to their once home discipline. Remembering this fact made me grateful for the foresight of the curators who fought to build this resource and keep it a part of teaching and research in the University. 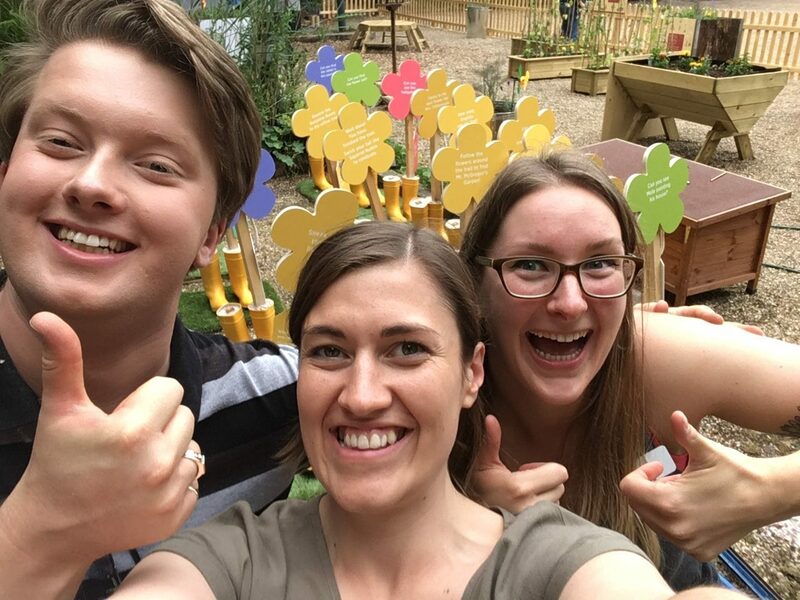 This is the first of a blog series where I find out what former students and volunteers are doing in the museum, arts and heritage sector. 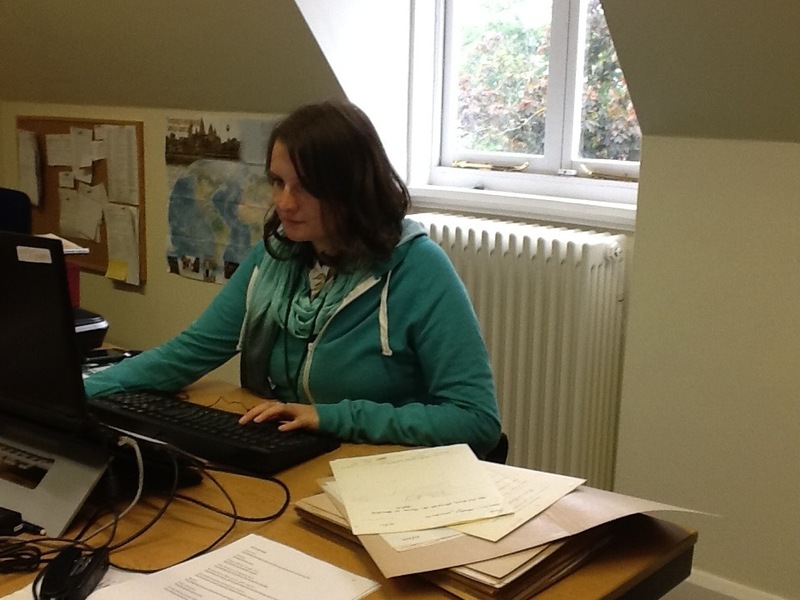 First up is Laura, who has just come back to work for us! I currently work at the Museum of English Rural Life as a project assistant on the ‘A Sense of Place’ project. I am responsible for updating the online database, making the collection more accessible for researchers and those who are unable to visit the museum. This project has a particular emphasis on place and location as a point of access. How did your time at Reading prepare you for this line of work? I did the Museum Studies modules in every year of my undergraduate; mainly chosen because I enjoy museums and was curious as to what could be learnt about them. It was the museum studies module I did in my first year that made me realise museums could be the career for me. I distinctly remember being set tasks where we had to plan trails to engage audiences, which I really enjoyed. I learnt quickly that a lot more thought goes into museums and their displays than I had ever imagined. Having finished the module in the first term, I was keen to get volunteering throughout spring and summer. Modules in following years included a task where you had to research a chosen object, update the accession file, write a label and design a temporary exhibition around it. The bit of the task I was surprised to find very difficult was being able to write a clear and concise label. I had to ensure it was accessible in terms of readability, reading age and appearance. As well make sure the language was active and engaging. I was had to avoid the temptation to write everything I knew about the object in an essay style piece of writing. This skill has proved very useful for writing object descriptions and labels. This task also allowed me to experience the online database, which I now use every day. In my first year at Reading University I volunteered on various MERL events and workshops, eventually becoming a weekend tour guide. This gave me a good understanding of the collection, what has been collected and why. This basic understanding is now vital, as I work through the catalogue, ensuring I mention objects’ significance in relation to the collection. Additionally the experience of public speaking during my time as a tour guide really improved my confidence and ability to talk to the public, very important now for interacting with visitors and researchers. I did a joint honours degree in Archaeology and History of Art and Architecture (2008-2011). Both involved many trips to museums, galleries and heritage sites, where I was able to look at exhibitions with my new ‘museum studies eyes’, assessing whether they were successful or not. My degree involved a lot of research, skills I now use when updating the catalogue. Furthermore, I came to Reading thinking I wanted to become the next Indiana Jones, a dream squashed by my first experience of practical archaeology at Silchester, where I discovered I can’t differentiate between types of soil and don’t do well knelt in the dirt in all weathers. However, whilst there I assisted on public open days which I really enjoyed. Having enjoyed all of the museums studies modules, and with plans to do a museum studies MA, I decided to choose a museum based thesis topic. Here I compared and contrasted three galleries within the Ashmolean Museum; a statue corridor near the entrance, modern art room on the top floor and the newly refurbished cast gallery. Here I analysed how visitors used the space and then tried to assess why they did so. This allowed me to do more in depth museum studies research and confirmed that I would really enjoy a museum studies masters. 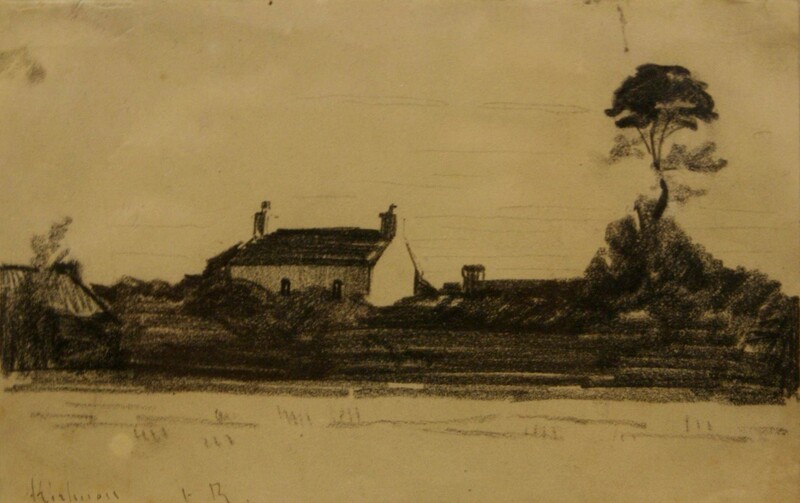 At the end of my first year I applied to be a Saturday gallery assistant at the Museum of English Rural Life, a position I stayed in throughout my undergrad. This enabled me to interact with the public, gauge what they enjoyed and why. I was also able to put my tour guiding stills into practice, week after week. Additionally, with the realisation that I was not going to be a practical archaeologist, in my second year I decided to volunteer in the visitors cabin at Silchester, and in my third year was employed as the visitors manager. This involved organising school and group visits, public open days and a lot of tour guiding. I was also responsible for training students in giving guided tours. Again my time here helped develop my ability to interact and engage with the public. What training/experience did you get after leaving Reading? 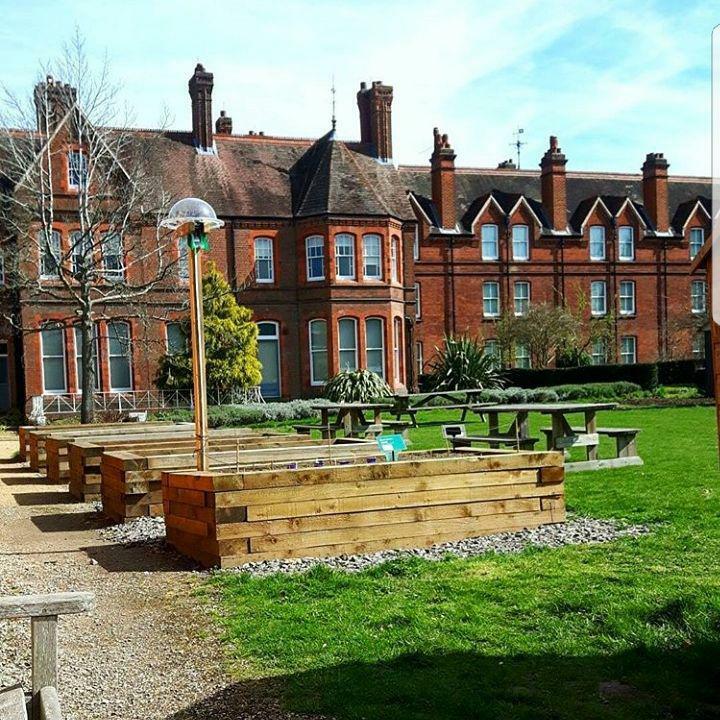 After leaving Reading I went straight on to complete a Museum Studies MA at the University of Leicester, which was recommended to me as the place to study if you wanted to go onto work in the museum industry. It was an amazing year with some really interesting modules, trips and tasks. Everything I learnt was clearly relevant to a career in museums. As part of the master I did an 8 week work placement at Falmouth Art Gallery, allowing me to experience a different kind on museum. Here I did a lot of extensive research and cataloguing, as well as marketing and learning. If you could give just one piece of advice for current students what would it be? My main piece of advice would be to take every opportunity offered to you, don’t waste the time you have at university- volunteer, gain skills and experience everything you can. Before my time at the Museum of English Rural Life, I was relatively shy, reluctant to interact with the public. But having been strongly encouraged to do the tour guiding course, by the volunteer coordinator at the time, I gained a lot of confidence and discovered my passion for engaging the public with arts and heritage. I was very lucky to gain so much voluntary experience, which led me to get 3 jobs while at university, a place on an MA course and my current position as project assistant. So get volunteering, not only will it look good on your CV, you may discover a hidden passion. I was inspired by Karen Armstrong’s point in the first session that we need to learn the ‘science of compassion’. In the Q&A session she noted that instead of worrying what we say to or about religious communities, we really need to think about listening and engaging in a conversation with people of faith. She, and other speakers, also stressed that the sacred doesn’t have to be about religion: everybody has something which is sacred to them, something without which life would be lessened, something which they would die for. The following session looked at London’s Jewish Museum and various Islamic art collections. Both speakers noted that religion was not the only factor in interpreting these collections: local and regional differences might come into play, and personal and dometic stories could bring these objects to life. 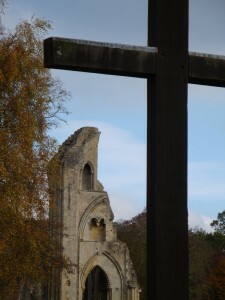 The stories they told with specific objects brought them back to a human, domestic level which connected them to the experiences of people of faith or no faith. The session in the afternoon looked at some British Museum exhibitions in detail. Steph Berns gave a brilliant insight into the sacred interactions which took place between people and objects in the ‘Treasures of Heaven’ exhibition. The stories of people quietly praying next to objects reminded me of my research at Glastonbury Abbey where people are often seen sitting in silent prayer or meditation. The day ended with a look at the Creationism Museum and the Witchcraft Museum, both run by members of communities of faith, albeit with drastically different missions and outlooks. I’m not doing the day justice here and I’m hoping that the organisers will be able to put up some version of the talks online. There are lots of people working on this topic but they are often in quite disparate disciplines. ‘Encountering the Sacred in Museums’ was such a success because it brought different methodologies, collections and theoretical perspectives together in one place. The subject of religion and spirituality in the heritage sector summons up a number of challenging ethical and philosophical issues. There has been much written about sacred objects belonging to ‘non-Western’ people in museums, but it has often been framed in terms of competing ‘world views’ in post-colonial contexts. This usually involves painting ‘The West’ and therefore the heritage sector as inherently scientific and secular. In reality the relationship is much more interesting. This is one aspect of my current research so I decided to blog a little on it. So for anybody who wants to find out more about this subject, that’s a good start. I’m booked onto the British Museum event ‘Encountering the Sacred’ in a few weeks time This excellent blog ‘Religion in Museums’, run by the folks responsible for the BM event, is well worth subscribing to. In conclusion, this post is numbered as #1 as this is a topic that I will come back to again. My next blog on this subject will discuss the British Museum event. The talk got me thinking about body arts in museums as a topic for museum studies students. One of the lecture slides showed an image of an ‘object’ from a museum which was a tattoo on the original skin. There are several examples of ethnographic objects which occupy this murky territory, being both human remains and art objects, and they raise interesting ethical and philosophical questions. From a collecting viewpoint body arts also unsettle object focussed techniques, as much of it is transitory and you can’t (for practical and ethical reasons) collect a body with its skin and hair. Matt and his fellow researchers use photography, diaries, paintings and newspaper articles to understand the history of tattooing and exhibitions of body art increasingly do the same. As a discussion point in class it can be uncomfortable. Many people don’t think they have any body art because they don’t have a large tattoo but hairstyle, perfume, make-up, ear piercings all count. Questioning how your own body is constructed can feel quite unsettling, but that’s what makes it such a great topic for debate.